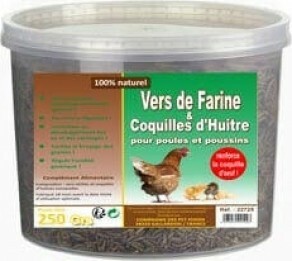 To encourage egg laying and help strengthen the cartilage and bone of your chickens, give them dehydrated mealworms. They'll love them! Mealworms are 25% fat and 50% protein, similar to worms that chickens can forage naturally. 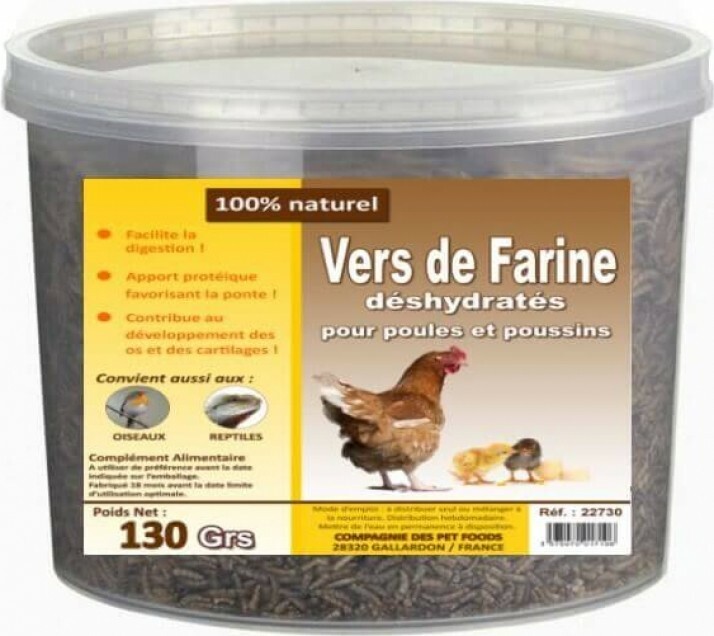 Very high in protein, it is recommended to give them to your birds when weather conditions prevent your hens and chicks foraging for themselves (during winter frost and snow, for example). You can either soak them for 15 minutes in warm water and just mix them with their normal food.